How fast is your web browser? I recently decided to pull out one of my old university assignments and make it into a website so everyone can use it. A few days later… the Word Dice was born! The idea behind it is to search a very large scrabble dictionary for words that match a particular pattern. 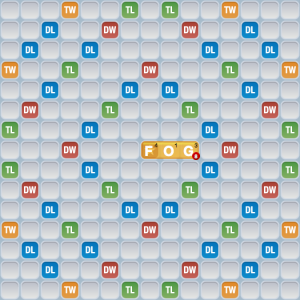 So, why not challenge a friend in Words with Friends while using Word Dice. Currently I despise the layout of the website so i might be updating it something… more meaningful. For people that are interested in how the monkeys find the matching words, I’ll be releasing the server-side source code in a few days. Recently I upgraded my Microsoft Office for Mac suite to the 2011 edition. I havn’t really used it much since, however I have recently started using it and have discovered a very annoying issue. After teasing the upcoming release of Robo Skype last week, I am excited to announce the immediate availability of the first Beta release. Right now this only supports Mac OSX, the monkeys with typewriters are working as hard as they can to have a windows version for you to all use. However it seems that my skpe4cmd that i published a few monts ago has stopped working! Have a faith in the monkeys and we might have some success! Here is a quick rundown on what the app does and some ‘known’ issues. Oh and best of all… It will work on both OSX and Windows thanks to skype4mac and skype4cmd that I have released in the last few months. Ive made tweaks here and there to those apps, they will get updated at the same time! Sound off in the comments if you have any particular feature requests.